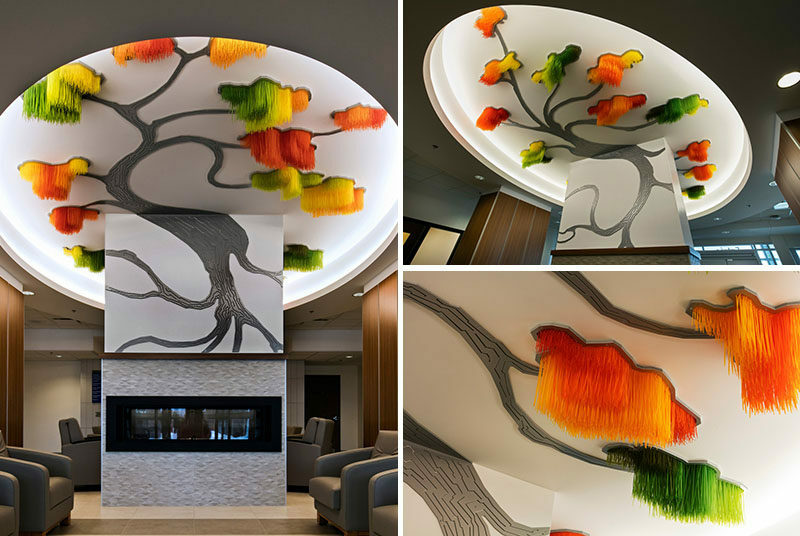 Montreal artist Elisabeth Picard, has recently completed this large commissioned piece of art for the newly opened long term care facility, The East Angus CHSLD in Quebec, Canada. 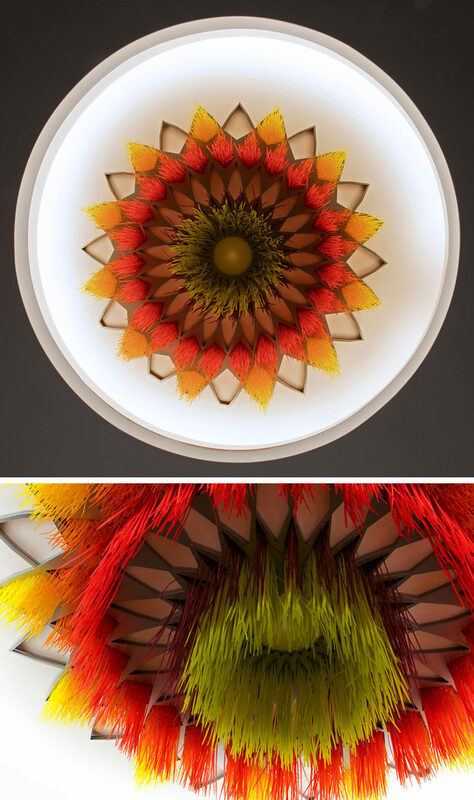 Made from dyed zip ties, painted aluminum, and LED projectors, the piece is called ‘Sous le grand arbre: racine, feuille et fleur’, which translates to ‘Under the large tree: root, leaf and flower’. 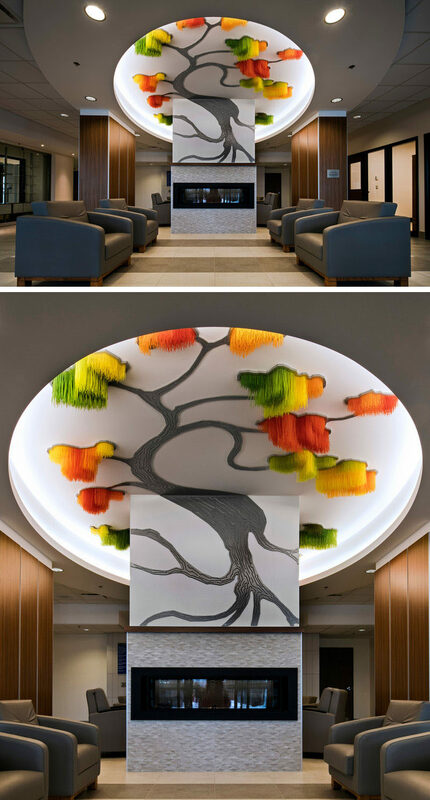 Travelling from the fireplace up to the ceiling, the tree was selected for it’s symbolic status as both a metaphor for the tree as life, and as a way to represent the staff at the centre like a protective force, keeping all who enter their care safe, secure, and happy. The tree was also selected as an important symbol because of the large role it played in the paper and pulp industry that was historically associated with the East Angus municipality. 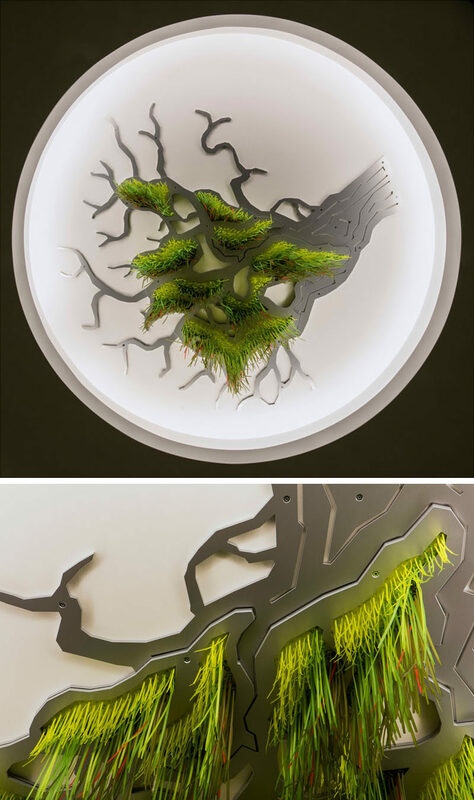 While the main installation is in the lobby of the centre, other, smaller components of the piece are spread throughout other floors of the centre in the form of a root system, a flower, and a leaf. 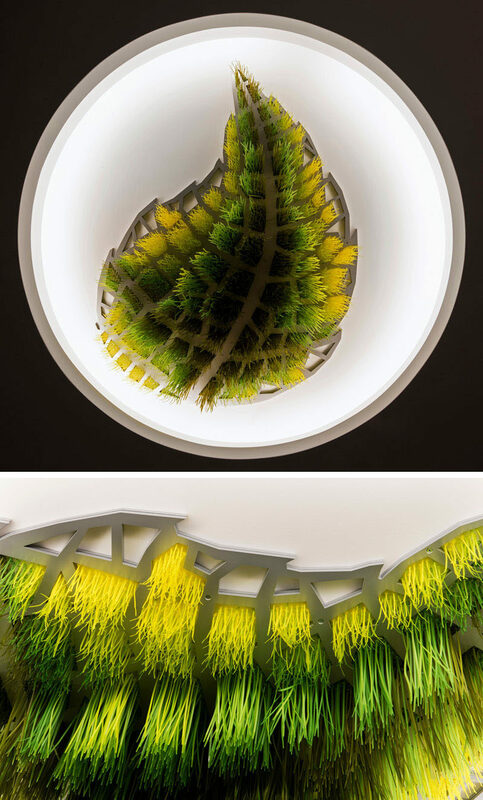 The use of various sizes of zip ties and the unique dying of them give the pieces in the installation a dynamic and textured appearance while also creating art that’s modern, original, and representative of both the place it’s in and the people in it.